This page covers the author of The Wasp Factory. For other authors named Iain Banks, see the disambiguation page. Iain Banks (1) has been aliased into Iain M. Banks. Works have been aliased into Iain M. Banks. Iain Banks reads from The Hydrogen Sonata. Diesel, A Bookstore in Oakland welcomes The Seated Diesels (formerly Book Group #1) back to the store to discuss The Wasp Factory by Iain Banks on Tuesday, May 22nd at 7pm. In this notorious and controversial first novel, named "one of the top 100 novels of the century" by The Independent, 16-year-old Frank Cauldhame tells his story, which happens to include the murders of three other children. Stark and unsettling, The Wasp Factory marked the arrival of a major new talent. 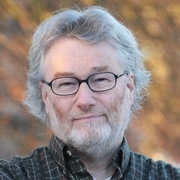 Iain M. Banks, one of the United Kingdom's most popular authors of science fiction, has written such highly regarded novels as Consider Phlebas, Excession, and Inversions. As Iain Banks he also writes literary fiction, including such novels as The Wasp Factory and A Song of Stone. He lives in Scotland. Iain Banks reads from Transition. "Iain Banks" is composed of 3 distinct authors, divided by their works. You can edit the division. Iain Banks is composed of 2 names. You can examine and separate out names.